Very Rev. Patrick Woods, C.Ss.R. 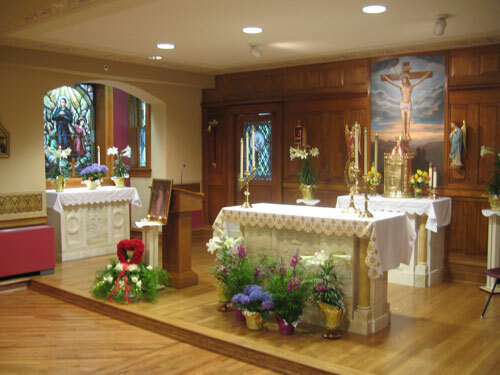 Entire design and building of a chapel, including artistic painting, all new woodwork, marble work, pew restoration, original images in lithographs, all new Stations of the Cross, retro-fit stained glass windows, bronze metalware and furnishings. 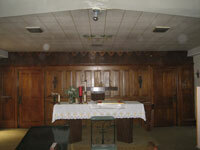 St. Clement’s was like many chapels that may now exist – tired, worn down, dark. 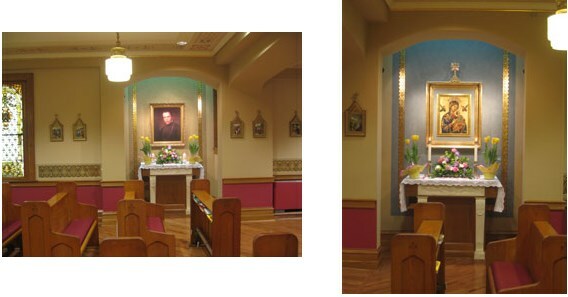 For the Redemptorist Fathers, the chapel is an area that has much meaning and importance. 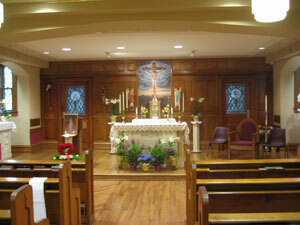 Much time is spent here by the elderly priests who have served so faithfully throughout the years. St. Jude Liturgical Arts Studio recognized the little jewel that was found within these premises! Using windows from other closed locations and new light fixtures, they restored and retro-fitted the windows so as to create a chapel with illumination, light and a lot of the classical artwork, including a Perpetual Help image which was restored, marble altars from other chapels, and stained glass. As you can see, the chapel has now been transformed into something so unique and very worthy for these terrific priests in which to worship and pray.